The Elliott Homestead Cooking Community is a way for you to get brand new, whole food recipes delivered to your door every month. Every recipe is designed to be simple, nutritious, whole-food centered, price conscious, and delicious. 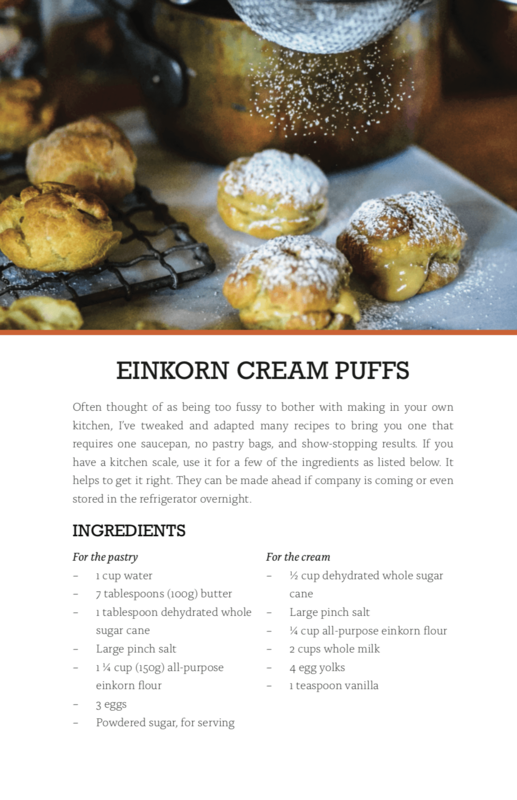 This month on the blog, we’re featuring my very favorite Einkorn Cream Puffs that we eat all the time. Enjoy! You can learn more about joining our Cooking Community here. 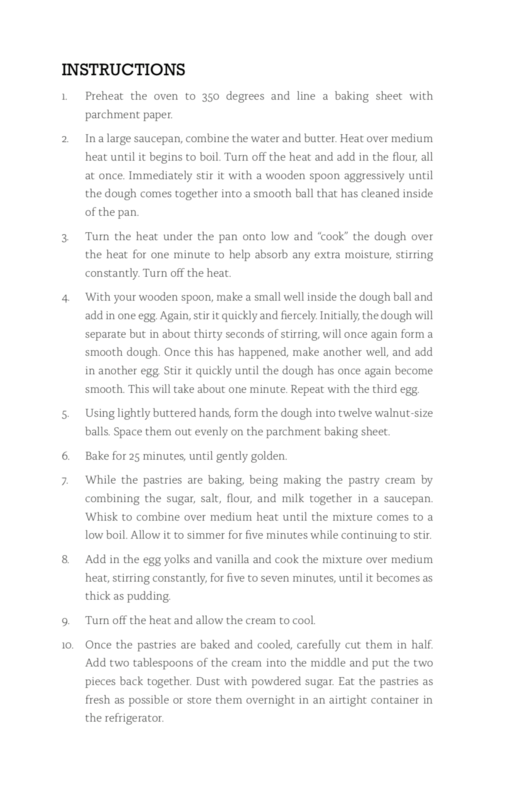 Pictured below is the recipe card delivered to our member’s doorsteps!